This very unusual & stylish ring is by the English jeweller Alan Martin Gard in 1972. 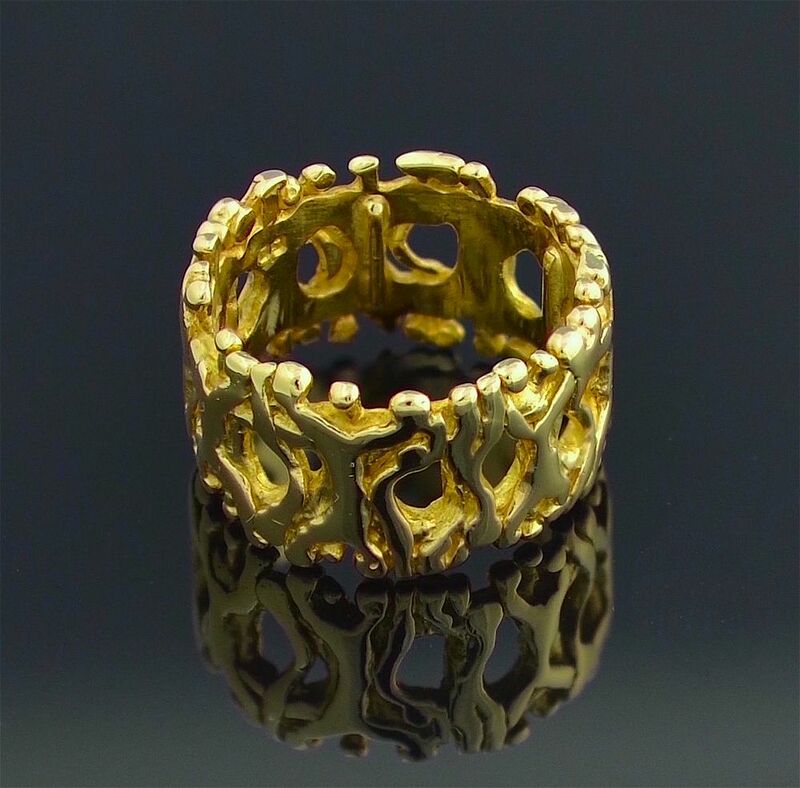 Made of 18ct yellow gold the ring is a band of abstract openwork design that give the impression of a ring of people. 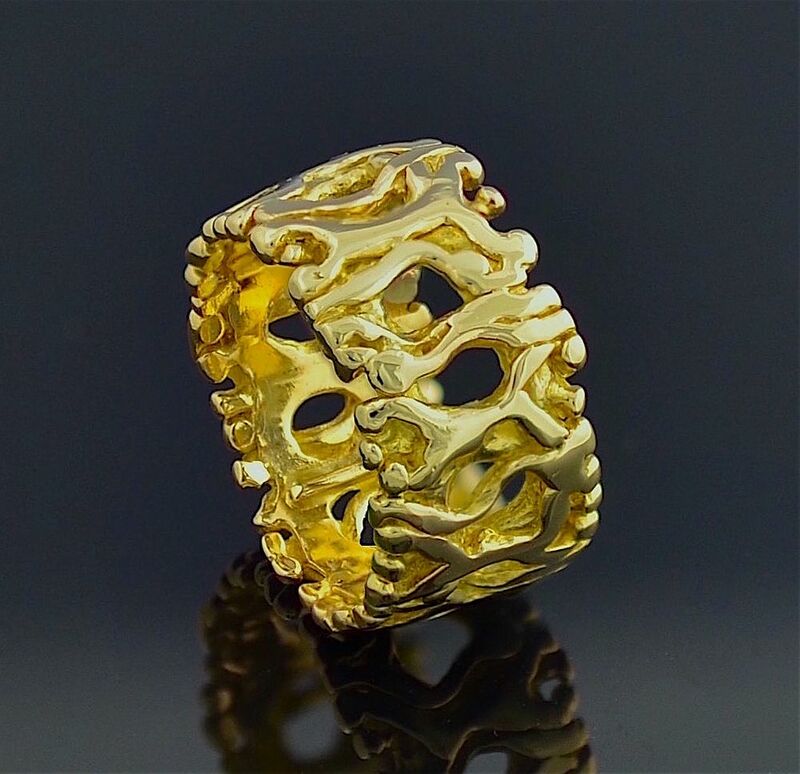 The ring is hallmarked by the London Assay Office for 18ct yellow gold, 1972 and bears the sponor's mark "AMG" for Alan Martin Gard. A great piece by a very collectable jeweller.